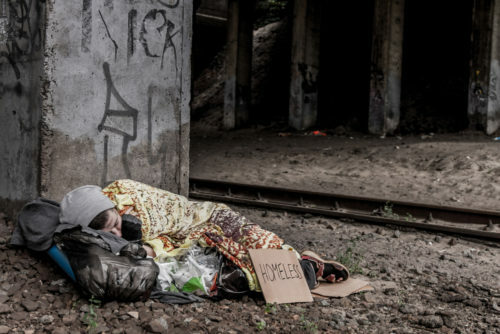 A “Christian” homeless shelter in Anchorage, Alaska is suing for the right to discriminate against transgender people seeking help. The lawsuit seeks to overturn the city’s nondiscrimination ordinance that prohibits discrimination against LGBTQ people. The shelter, Downtown Soup Kitchen, is represented by the far right legal organization Alliance Defending Freedom. The same outfit represented bigoted baker Jack Phillips before the Supreme Court in his bid to discriminate against gay and lesbian couples. The group has been designated a hate group by the Southern Poverty Law Center. So the shelter is suing, saying the lack of action on the accusations means the city is targeting the Christian group based on their beliefs. Homeless shelters are exempt from the city’s ordinance, but that hasn’t stopped ADF from trying to use the opportunity to attack LGBTQ people again. The group regularly tries to overturn local nondiscrimination ordinances that include LGBTQ people. “It would not only be dangerous and against common sense, but it would violate the Hope Center’s sincerely held religious beliefs to admit biological men into its shelter and allow them to sleep side by side and disrobe next to women,” the lawsuit claims.